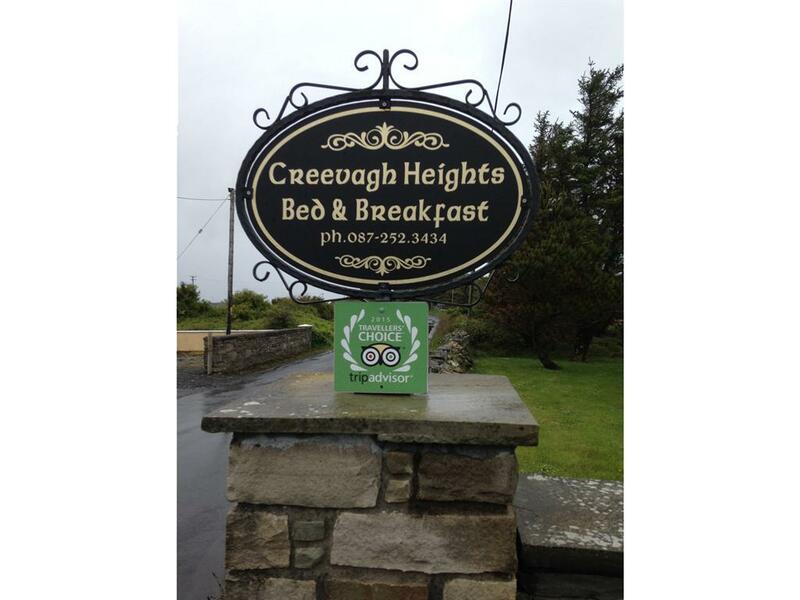 Creevagh Heights is an award winning family run bed and breakfast with 4 guests rooms each with own bathroom, a guest lounge and dining room - both enjoying spectacular views. 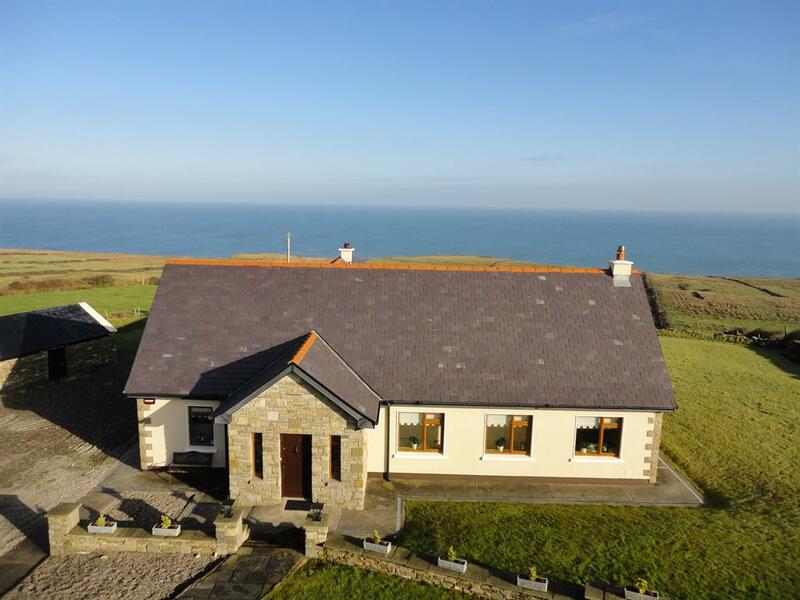 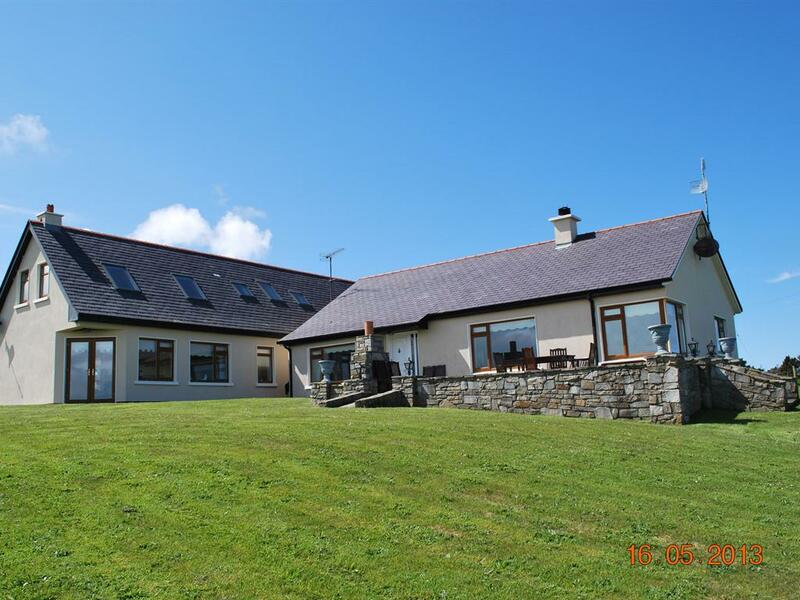 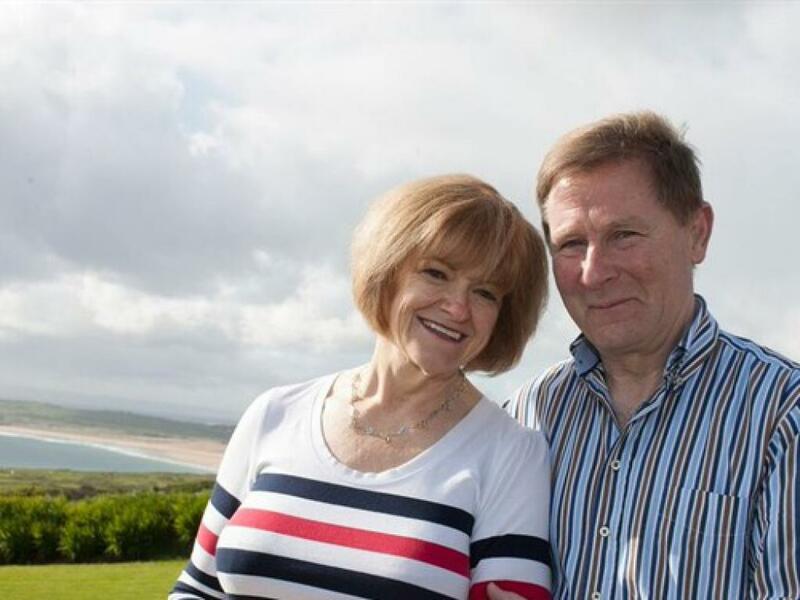 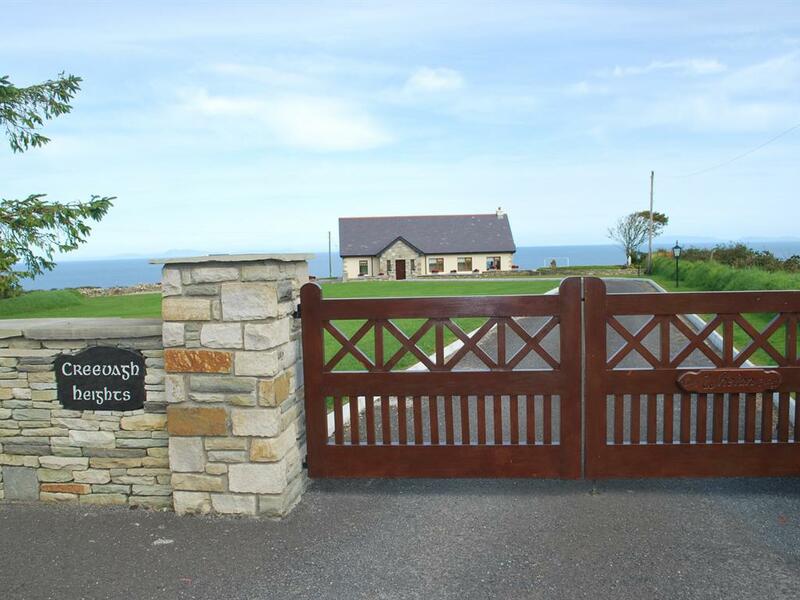 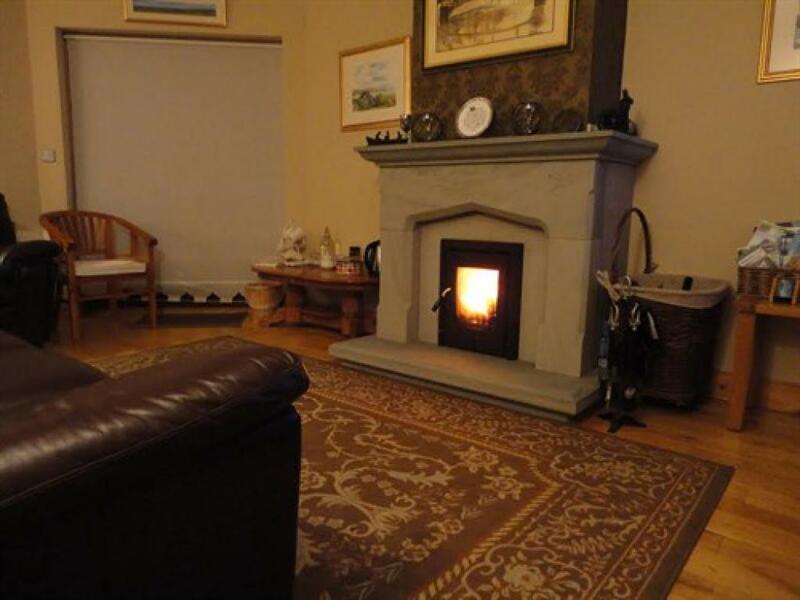 Overlooking the Atlantic Ocean, the family-run Creevagh Heights B&B is in a scenic part of north County Mayo and on the Wild Atlantic Way. 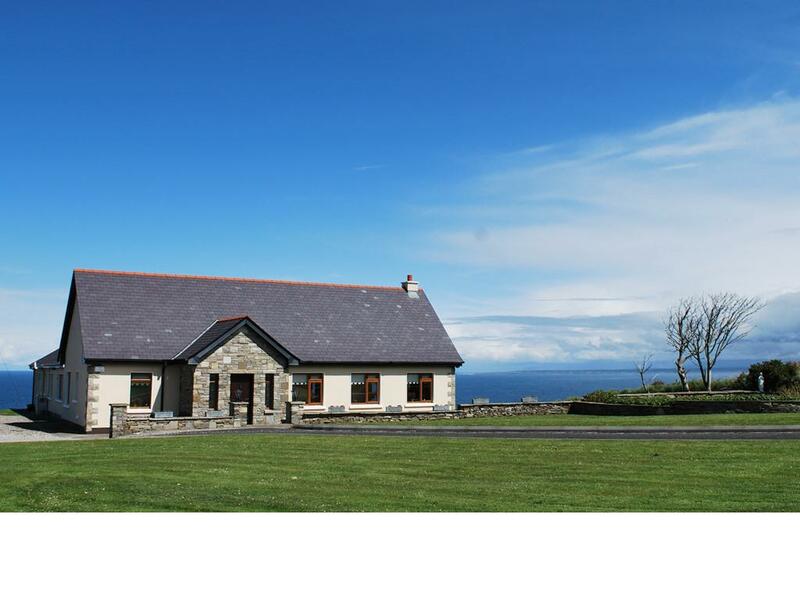 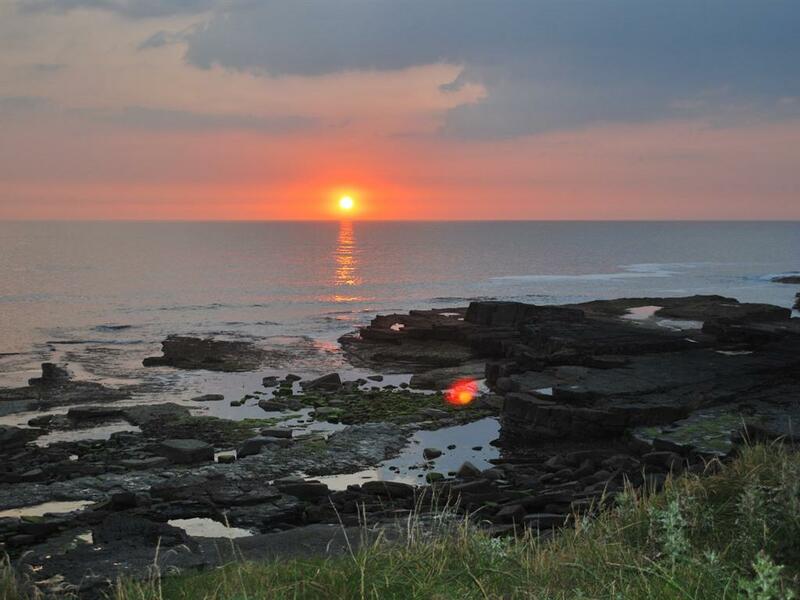 With free Wi-Fi throughout and free private parking, it is just 15 minutes’ walk from Lacken Beach, and 5 minutes drive from the spectacular DOWNPATRICK HEAD. 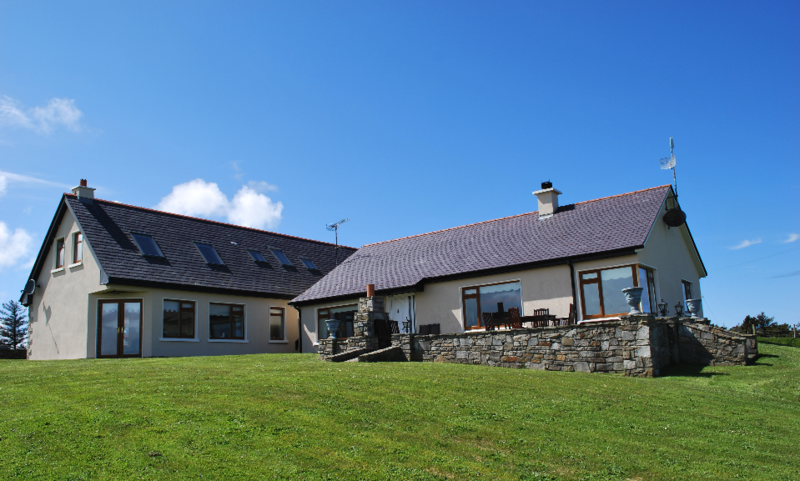 Rooms include a TV, alarm clock, hairdryer, guest slippers, complimentary natural spring water and toiletries. 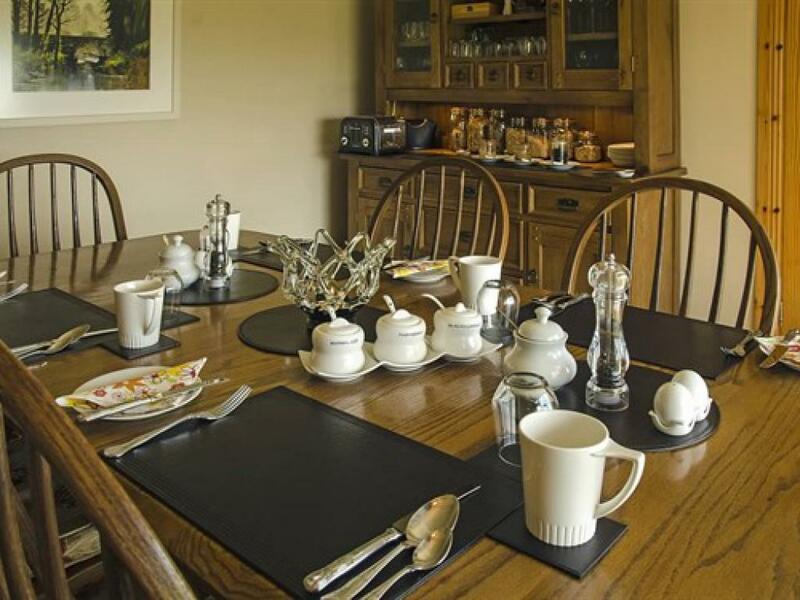 Tea/coffee/hot chocolate making facilities are available in each room and in the guest lounge. 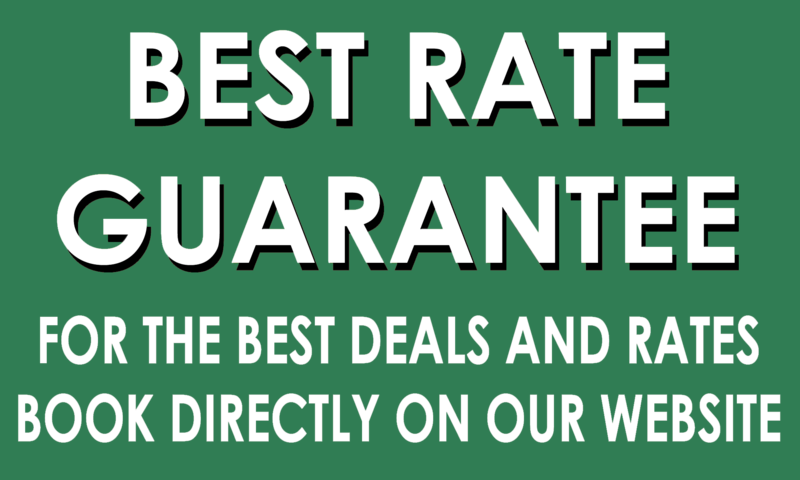 Ironing facilities are also available upon request. 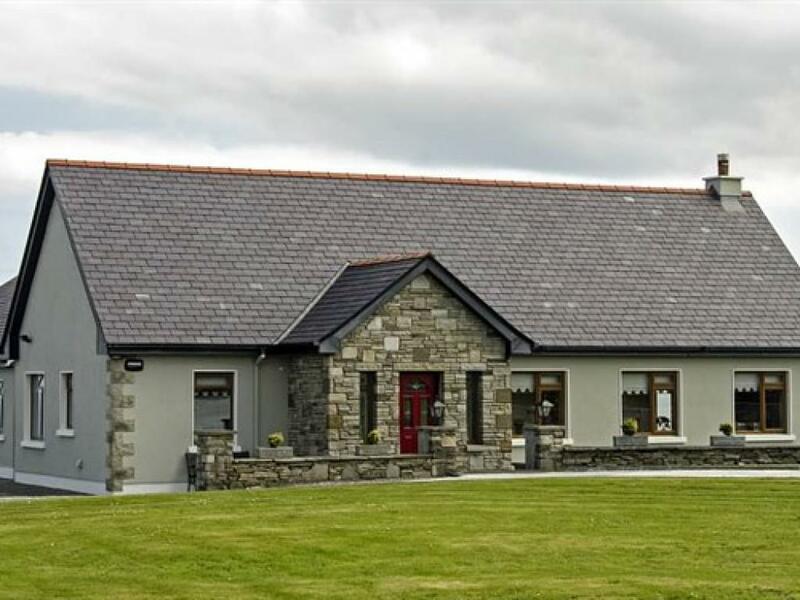 A full breakfast menu is available with guests ordering the night before.. Evening meals from a set menu are also available with prior arrangement. 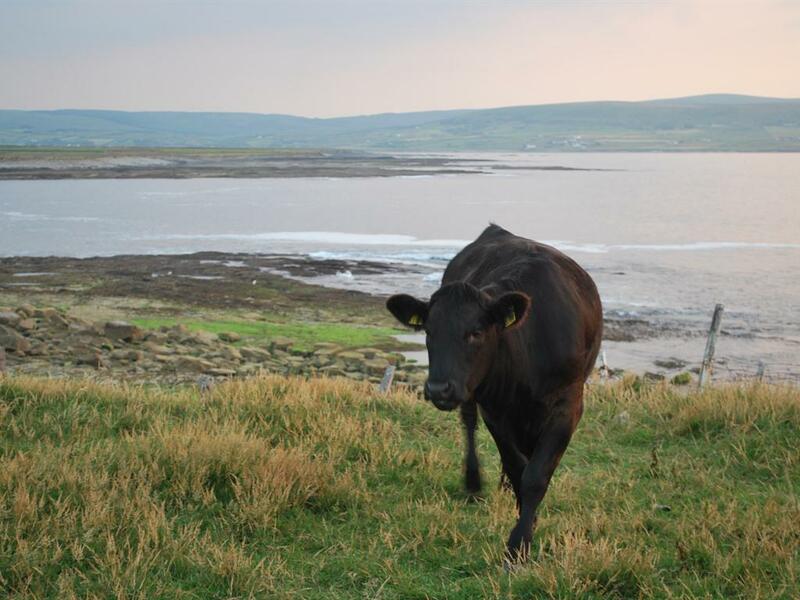 Special dietary requirements can be catered for upon request. 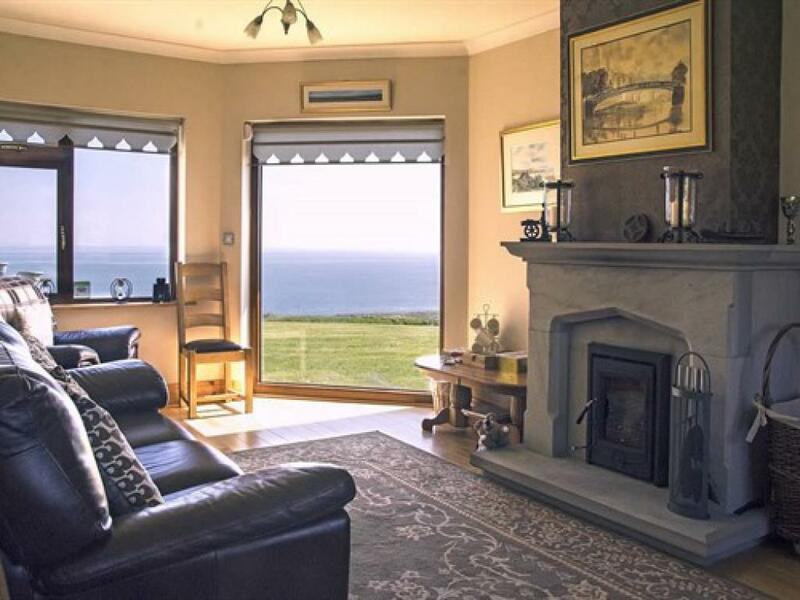 The CREEVAGH GUEST LOUNGE boasts an an open turf fire, TV, DVD player, board games, cards and books and a picture window with a view to die for. 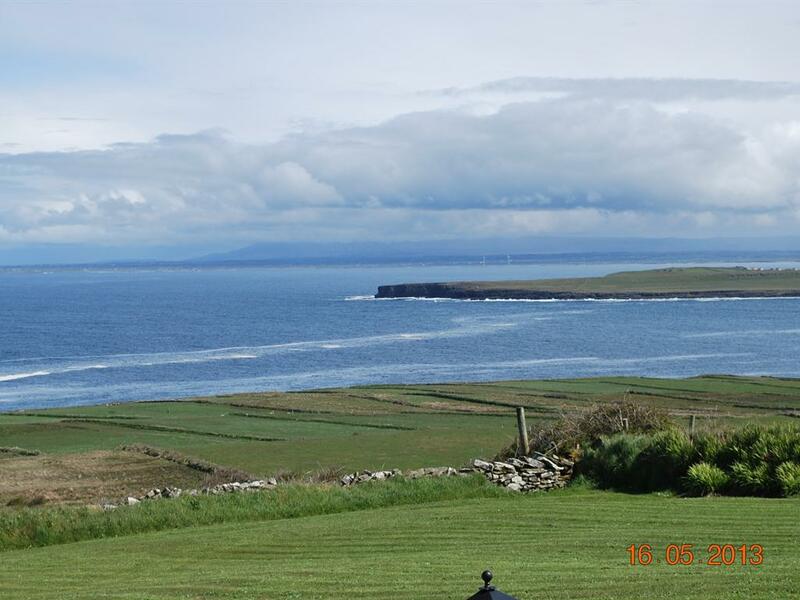 The secluded townland of Creevagh is in the small fishing village of Lacken. 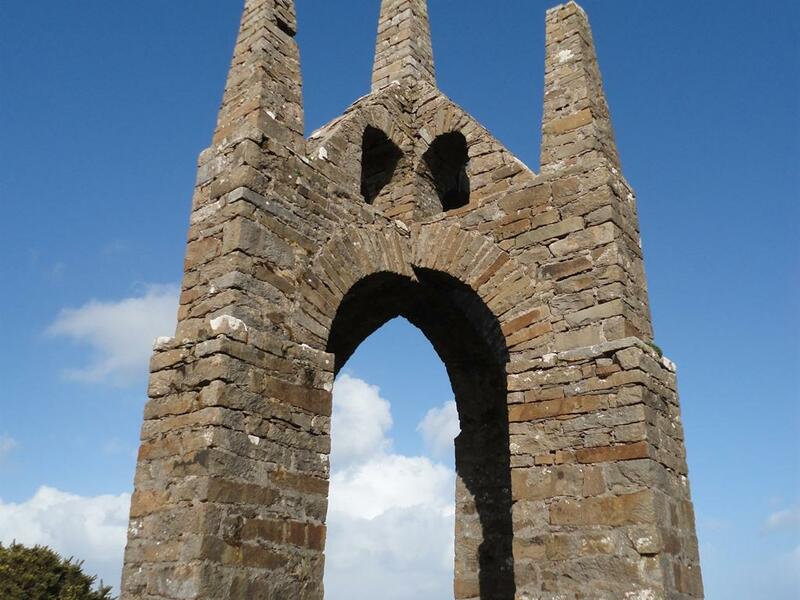 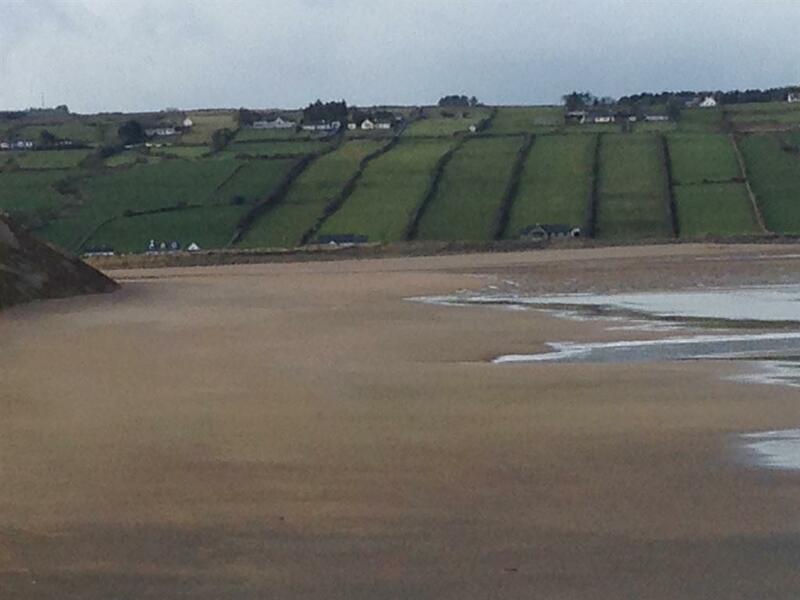 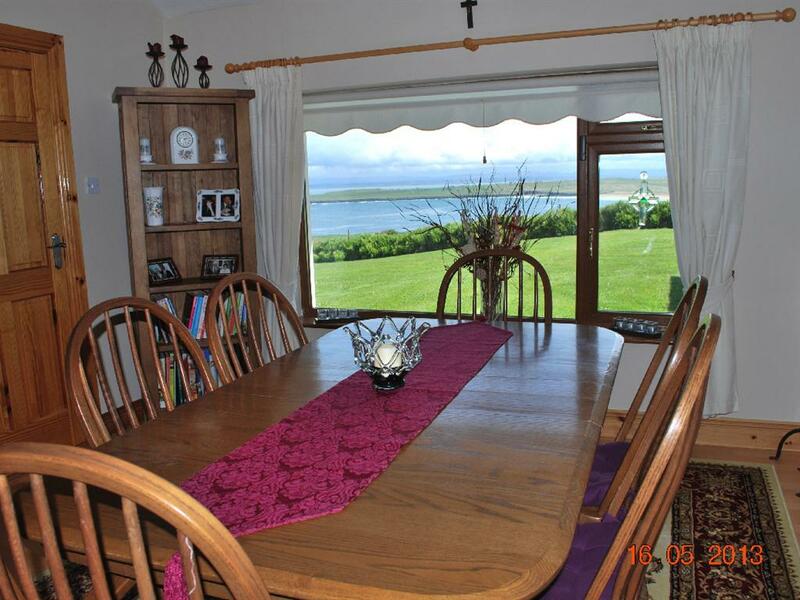 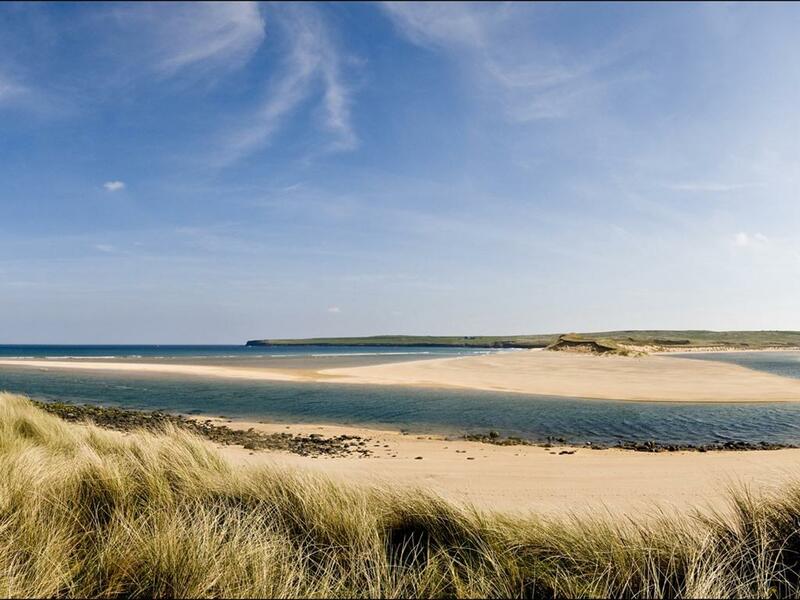 It overlooks Killala and Lacken Bay. 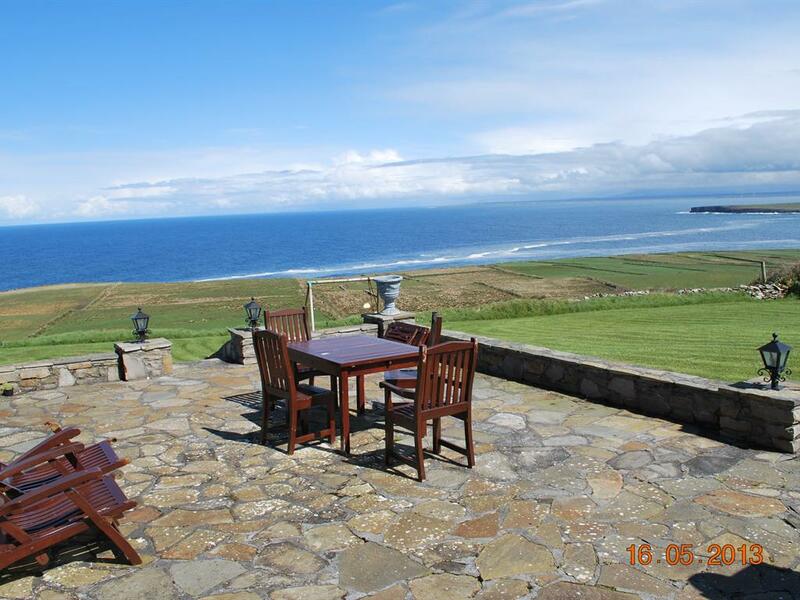 Lacken is situated on the Killala to Ballycastle Coast Road. 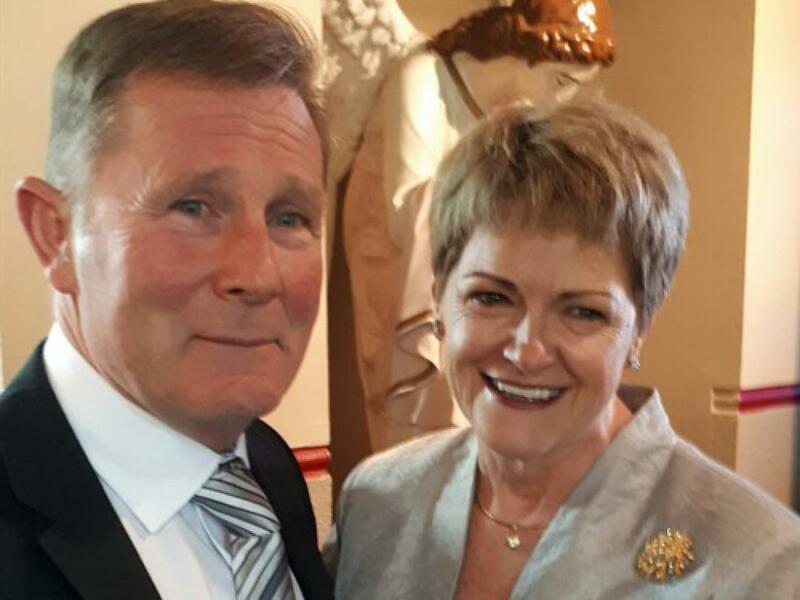 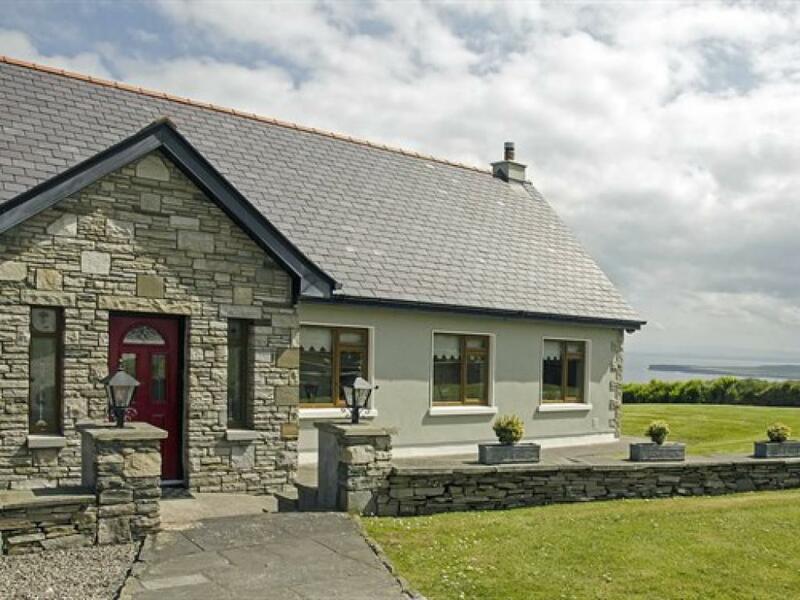 Creevagh Heights B&B is just 26 km from the bustling town of Ballina. 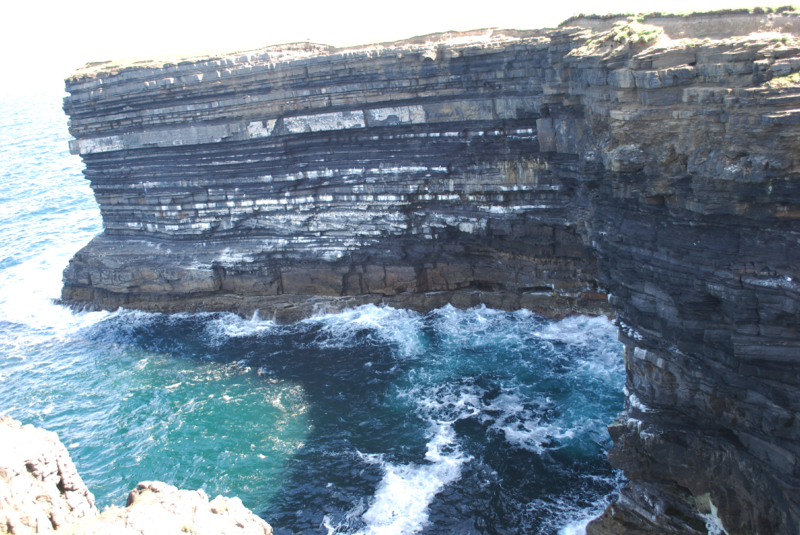 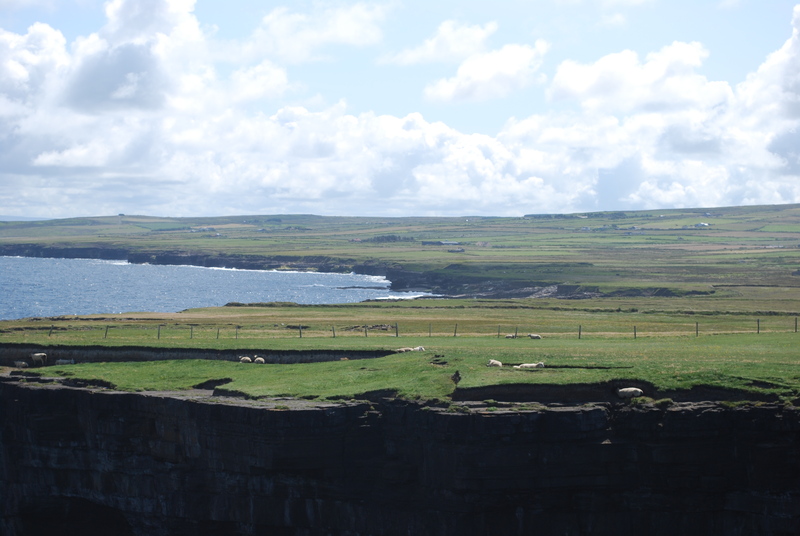 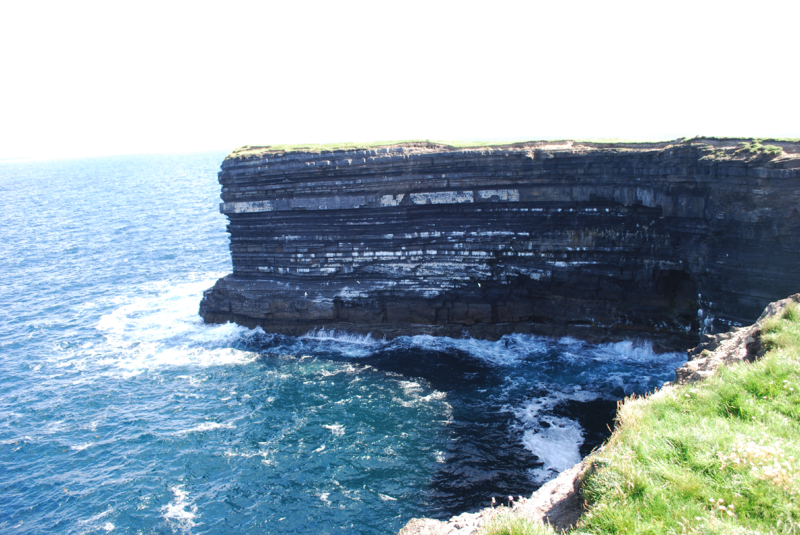 The magnificent Downpatrick Head is just 5 minutes’ drive away. 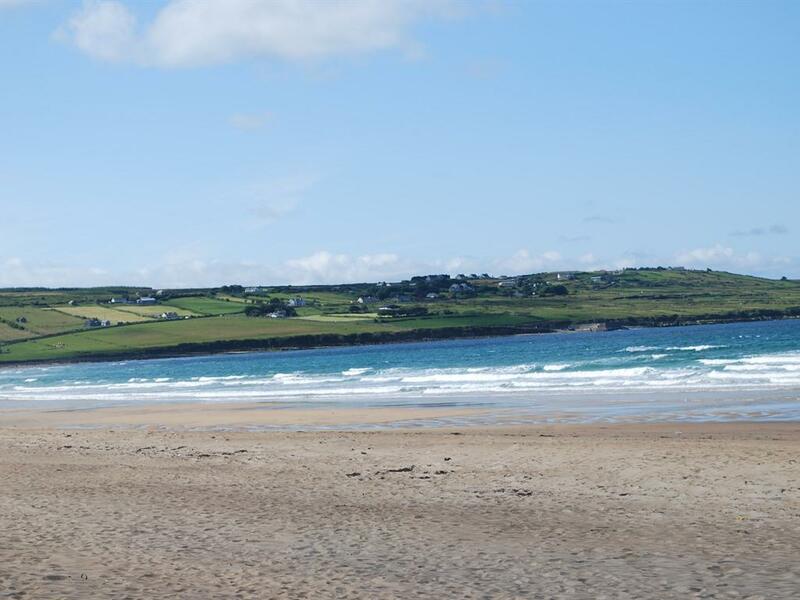 Bikes can be hired locally and there are walking trails in the area. 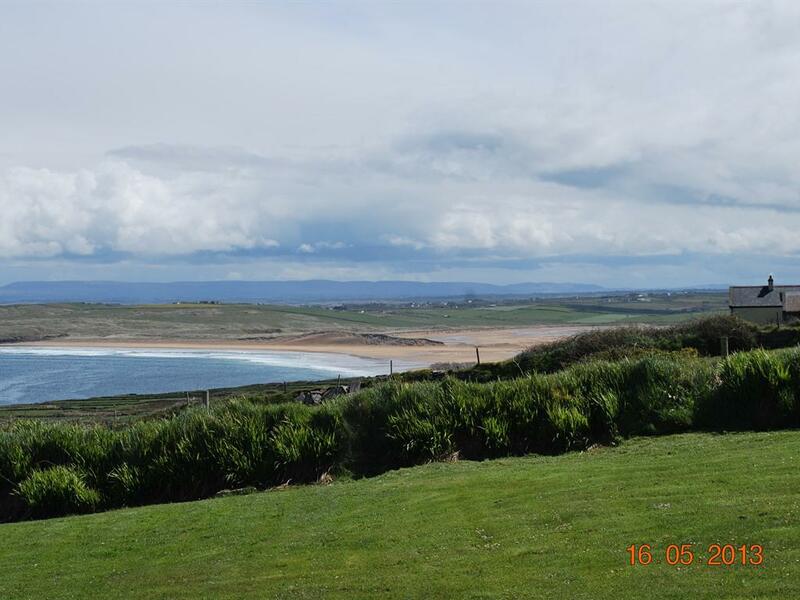 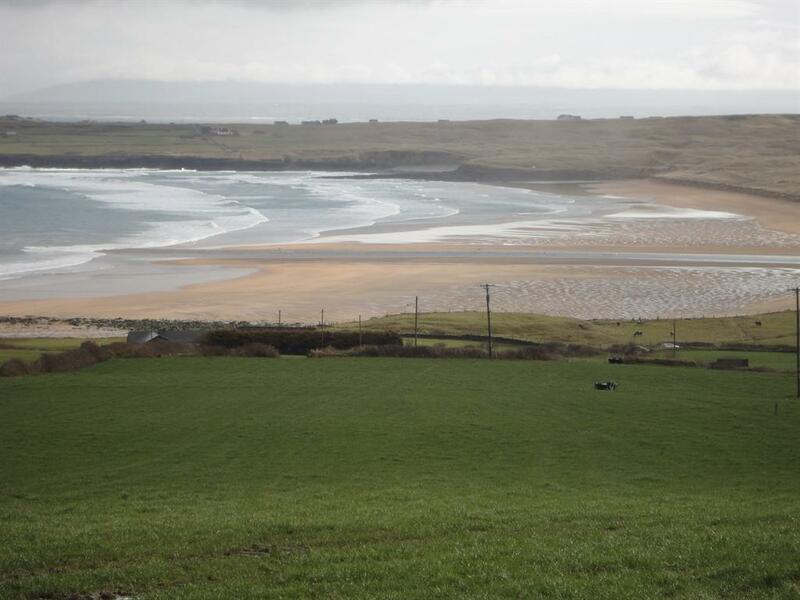 For golf enthusiasts, Carne Belmullet, Enniscrone and Ballina golf clubs are within driving distance. 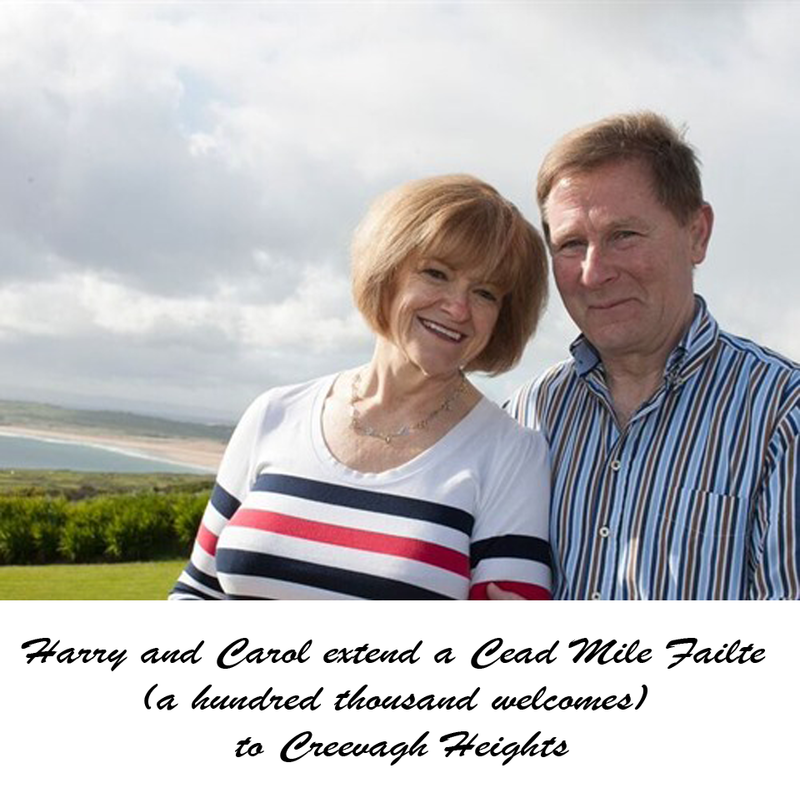 Creevagh Heights is somewhere different and very special - the place to go if you want relaxation, peace, outstanding scenery and where to recharge the batteries. 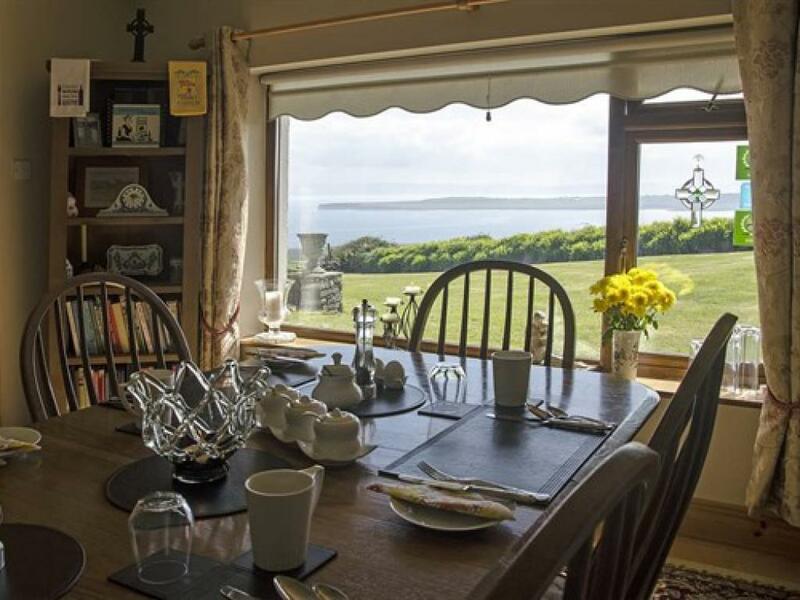 Many guests extend their stay - when there is availability to do so and many guests return over and over to enjoy all this beautiful area has to offer.